How do I get more traffic? It’s one of the most common questions I hear from businesses of all sizes. The problem is, it’s the wrong question to ask. The reality is you don’t convert all of the traffic to your website currently. Therefore; a much better question is, how do I get more of the right traffic? One of the most effective ways of driving the right traffic to your website and ultimately expanding your business is PPC marketing. Pay Per Click (PPC) marketing involves using targeted keywords and carefully crafted ads to reach the right prospects interested in the services you provide. This post discusses what you need to know about using PPC advertising to expand your customer base, regardless of how big or small your business is. 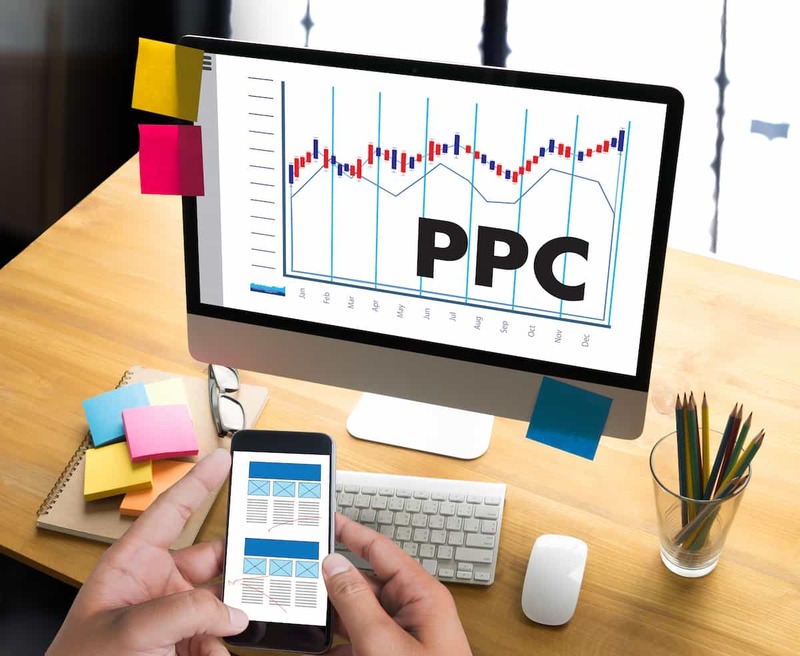 What Benefits Does PPC Offer? There are many ways that PPC helps you to expand your business. It’s fast: You can create ads and generate traffic to your site a few minutes after setting up your account. It can be very cheap: The cost of pay per click advertising varies from a few cents to $50 – $60 depending on your industry and how competitive the keywords are. It is flexible: The ability to adjust your PPC campaign in a matter of minutes provides unrivaled flexibility as compared to other forms of advertising. These are just a few of the many benefits why any business looking to grow, should be considering PPC. Lets now dive into what you need to ensure an effective PPC campaign. You will need to have Google Analytics linked it to your website. It is free and once you submit a few details about your site, you will receive a tracking code to add to your website. The main reason for linking Google Analytics to your website is that it offers an easy and in-depth way of tracking the results of your online marketing campaigns. You’ll gain access to key information like new users, navigation, and bounce rates to help fine tune the performance of your PPC campaigns. To learn more about Google Analytics, check out our Google Analytics online training program. Google AdWords is the largest and most popular PPC platform for small businesses. It operates on a pay per click model (or at least that is where you should focus), where advertisers pay for each click on their ads. One of the reasons why it is so popular is that it allows businesses to control their marketing expenses by setting a maximum budget for each ad campaign. The amount you pay for each click depends on your bidding and to some extent, the quality score of your keywords. The higher your Quality Score and bid, the higher your chances of getting your ad displayed at the top of a page. Before setting up your PPC marketing campaign, it’s important that you identify the keywords that you believe your target audience would search for to find what you offer. A pay per click campaign is built around these keywords, hence the importance of refining your choice of keywords. A good PPC keyword list should begin broad allowing you to expose yourself to potential opportunities. Then it’s refined as you evaluate the performance of each keyword via Google Analytics. A great way to start your keyword research is through the use of the free Google AdWord Keyword Tool. You’ll find the tool accessible from your Adwords account. It’s a keyword planner that analyzes your website and offers suggestions that would be good for your campaign. It shows you search volumes of potential new keywords. And thies tool even helps you plan the budget for the keywords you decide to work with. Setting up a new PPC marketing campaign isn’t enough to guarantee success (far from it actually). Regular management is required to refine your efforts in an effort to continuously improve your return on marketing investment. This analysis should go beyond the campaign and evaluate your website regularly as well. Using as little as 20 minutes on this task every day can go a long way towards optimizing your campaigns. A good PPC campaign has the power to boost your marketing efforts and reach a wider customer base almost immediately. Pay per click marketing is something that every small business would benefit from – when done right. Especially since it’s so flexible and doesn’t require a lot of money to get started. It’s not an easy task, but the tips cited in this post will get you started on the right track. Remember to choose the right keywords and keep refining them to maintain and improve results. We would love to hear about your pay per click advertising campaign. How has PPC marketing helped you expand your online presence and business? Don’t hesitate to tell your fellow readers about any tricks you may have learned along the way in the comments below.